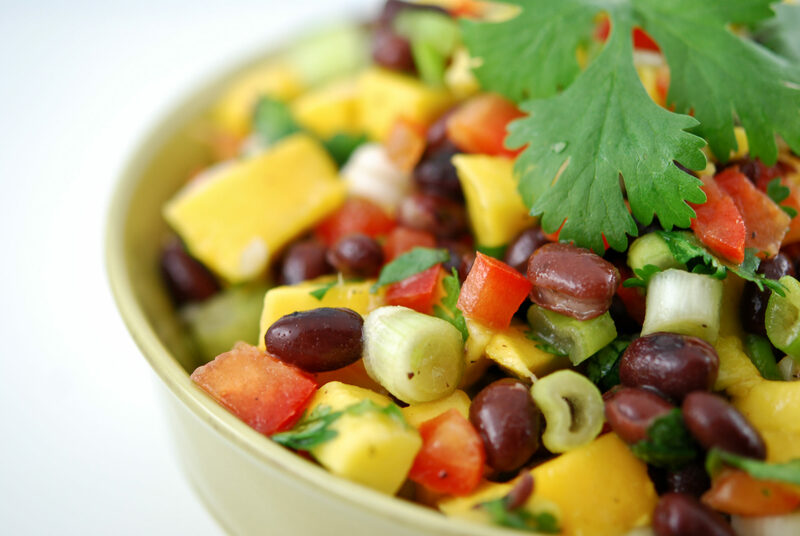 Our Three Bean Salad is a colorful combo of beans soaked in a tangy, sweet marinade and will be an awesome potluck addition or an amazing side for any meal. This is the classic Three Bean Salad recipe with my own little touches that make it even more flavorful than the original. 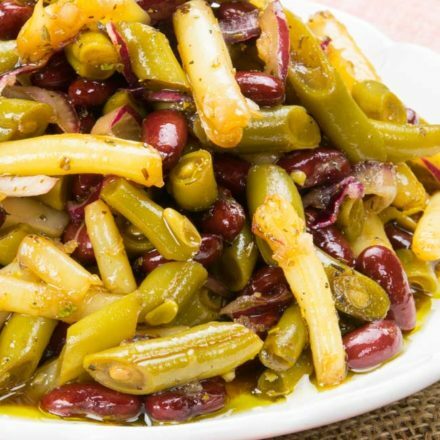 Bean salads started out as a picnic favorite over a century ago since they’re mayo-free and less likely to make the picnic a memorable experience for all the wrong reasons. There are lots of tasty varieties, from Mediterranean versions with black olives, tomatoes, and feta cheese to a Mexican three bean salad with a cumin-spiced dressing and roasted corn. Beans are definitely the bulk of this dish, but the marinade brings the flavor. Marinades are magic makers. They can turn a tough-as-leather steak into a tender, flavorful feast or a dry chicken breast into a juicy sandwich centerpiece. Heck, they can even elevate something as bland as tofu into a savory substitute for that steak. Guess what else they’re good for? Salads! No, not a big green monster of a salad, but a tangy bowl of beany goodness that’s leveled up overnight and absorbed tons of flavor. My easy Three Bean Salad recipe will be a colorful side whether you’re lounging in the sun on a picnic blanket or watching it snow from the safety of your dinner table. 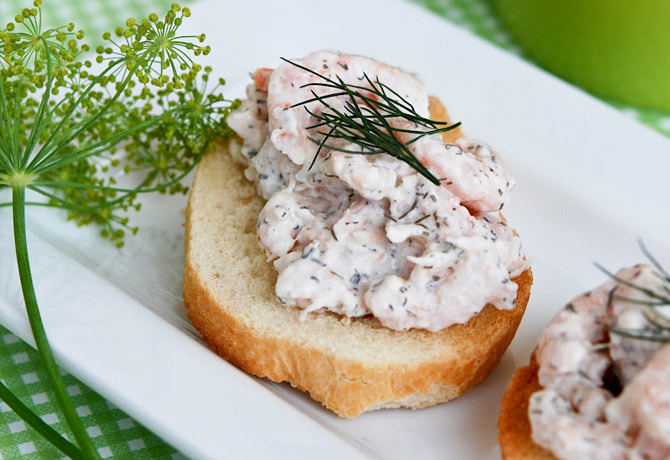 It’s cool and refreshing as well as a lovely contrast to rich dishes like roast beef or turkey. 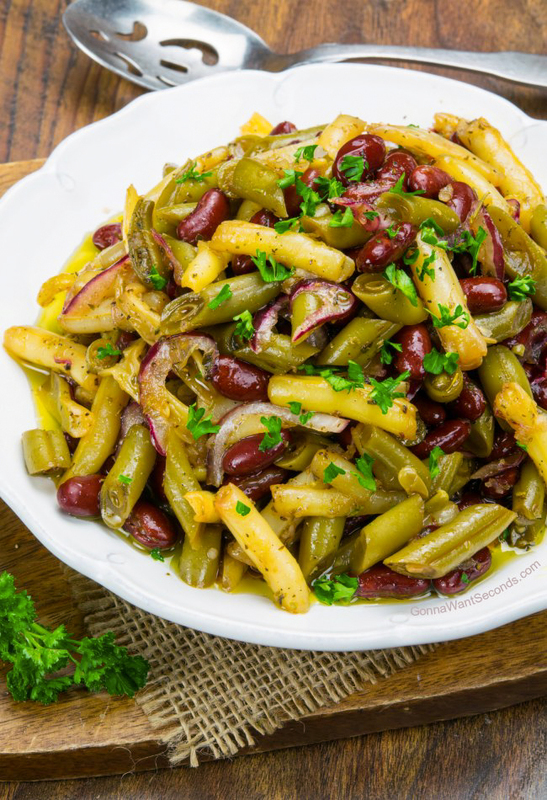 I just love the combo of beans in this recipe, the same three as the old-fashioned three bean salad: green beans, wax beans, and kidney beans. In England, apparently, you can buy cans of already mixed beans (at least that’s what the three bean salad Jamie Oliver makes uses), but I’ve never seen those in the States so just buy one can of each. 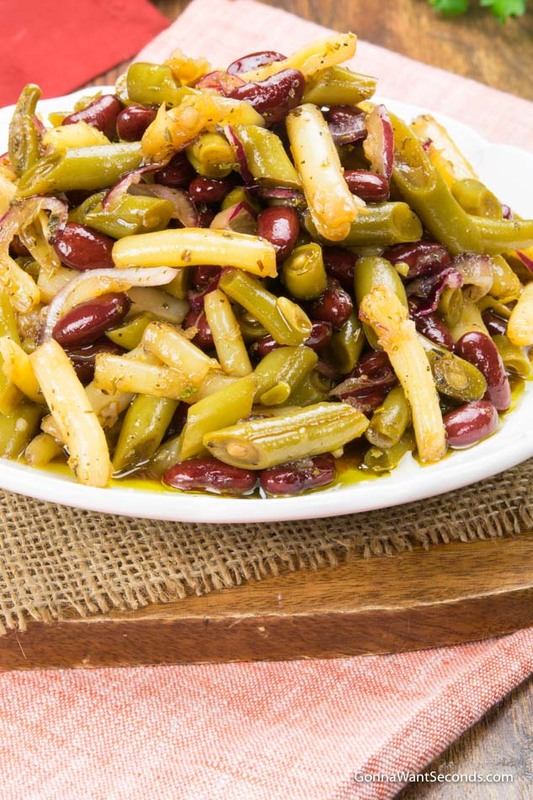 We’re all familiar with green beans (and most of us over the age of three enjoy them), but the wax beans may be a new one for you. They’re another variety of snap beans which get their name because they’re thicker than other types of beans and get “snapped” into pieces before cooking. You may also know them as string beans because of the fibrous “string” that often pulls off the side during the snapping. Wax beans share most of the qualities of green – same size and texture, but they’re a pale yellow color and have a slightly milder flavor. Rounding out the beany trio is kidney beans. These deep red beans (yes, they do resemble the shape and color of an actual kidney) are full of many good-for-you things and are recognized accordingly in dishes around the world, from spicy Indian curries to red bean and rice dishes from Puerto Rico (and Louisiana, of course), and kidney bean stews in Africa. They provide a rich contrasting color to the salad, but they’re also meaty and creamy to offer some textural contrast as well. The only other ingredient, besides that flavorful soaking stuff, is red onion. I’m still not sure why they call it that since it’s obviously purple, but the little flecks of purple just bring the one more colorful layer to this rainbow of a salad. The crunchy heat isn’t too bad either! Your grandma’s recipe Three Bean Salad may have had chopped celery, but my recipe reflects a family tradition of not adding that particular ingredient. If you just love the taste and texture of it, though, you can try adding about ¾ of a cup to this recipe. If you’re not feeling up to the chopping, you can also try adding a teaspoon of celery seed to the marinade. So what about that marinade?! Up until this point, this has been a really easy bean salad recipe. Guess what? The marinade is just as easy! It’s basically a strong vinaigrette that gets absorbed by the beany sponges, and like all good vinaigrettes, this marinade starts with oil and vinegar. I like to use a mild olive oil and two kinds of vinegar: red wine and balsamic. This combo makes my marinade so much more complex and flavorful than the classic recipe that relies on plain white vinegar. Both the red wine and balsamic vinegar have a more subtle acidity than white. The balsamic in particular has a lovely sweetness that compliments the sharp qualities of this marinade. Both of these kinds of vinegar also have a deep, fruity quality that you just can’t get with the stuff in the big gallon jug. 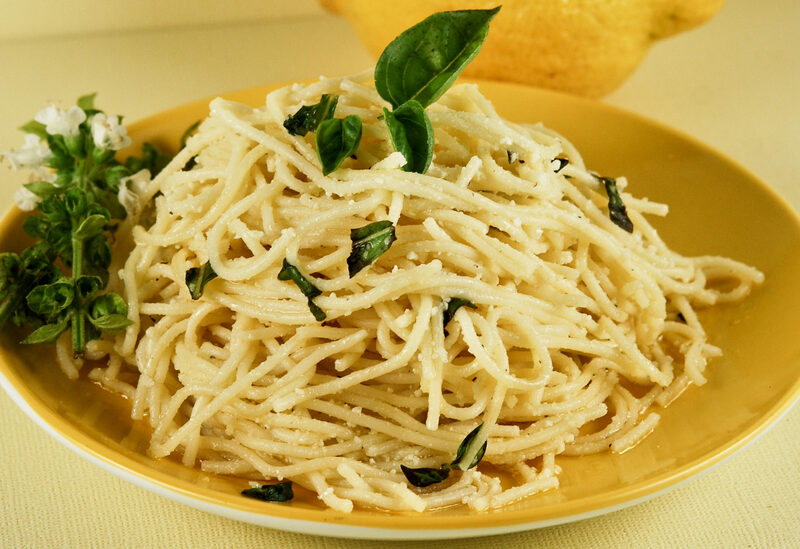 The aromatics are generous amounts of Italian seasoning – the bright and earthy combo of basil, oregano, thyme, marjoram, and other herbs, plus some chopped garlic. There are salt and pepper, of course, and some sugar. While you may be concerned about the quantity here, the sweetness is offset by the vinegar. The flavor profile reminds me of a tart pickle with a touch of sugar floating in the background. 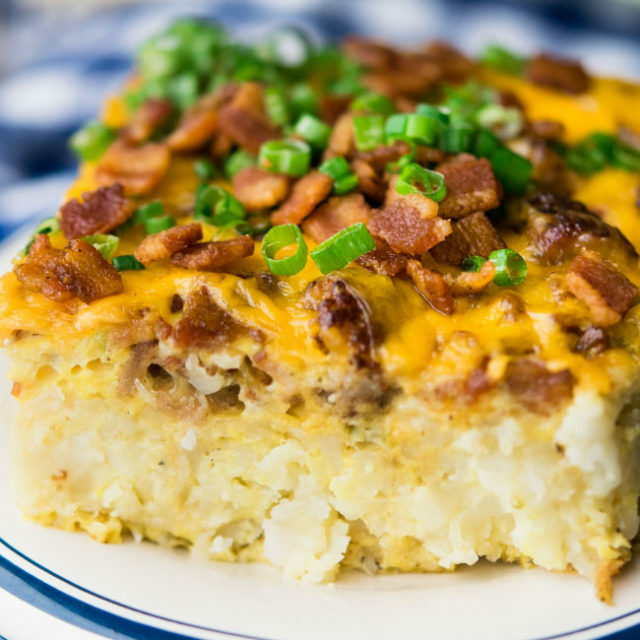 This is a perfect potluck item, especially since it can (and should) be made the night before. My mom always made this Three Bean Salad in the fall, so it often pops up on my Thanksgiving menu. It’ll be a wonderful compliment, though, to whatever’s on your table! Mix together all beans and red onion in a medium mixing bowl. Set aside. In a small mixing bowl, whisk together all the dressing ingredients until the sugar dissolves. Pour dressing over beans, cover with plastic wrap and refrigerate overnight. Toss the salad again before serving and drain excess marinade and serve with a slotted spoon. 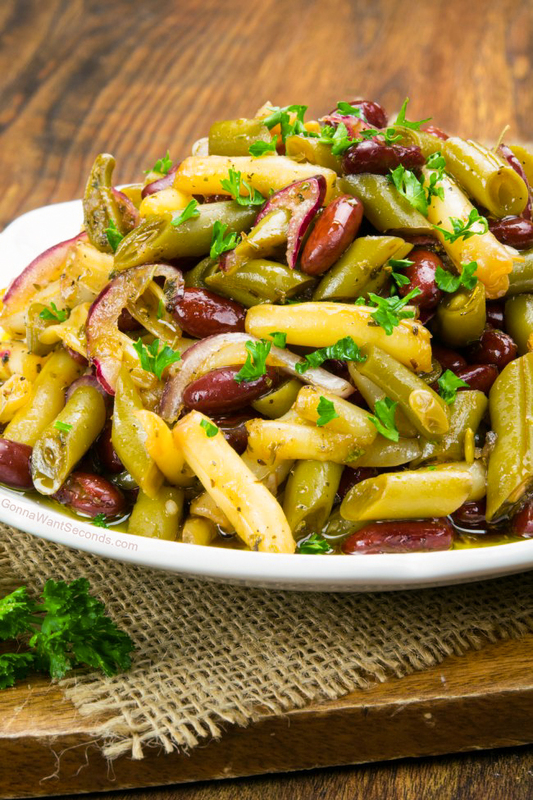 Fresh is best – The canning process does take out some of the nutrients of a vegetable, and you can make this 3 Bean Salad recipe healthy (or at least more healthy than it already is) by making a three bean salad with fresh green beans. You’ll need about a ½ pound of fresh, snapped into bite-size pieces. Just blanch them by dropping them into boiling, lightly salted water for 2-3 minutes, then plunge them into ice water to stop the cooking process and drain them. Marinating – Like most marinades, this one will take a few hours to do its thing, so you’ll need to plan ahead so this salad can sit in the fridge overnight. While the marinade does resemble a dressing, it’s not meant to be eaten, really. I serve my Three Bean Salad with a slotted spoon. That way, you get just a slight coating of dressing/ marinade without it being overdressed. Substitution – These days wax beans can be hard to find, but I’ve been able to find them at Target. If you’re not that lucky and want to make the salad just like Grandma did, you can find the beans online. 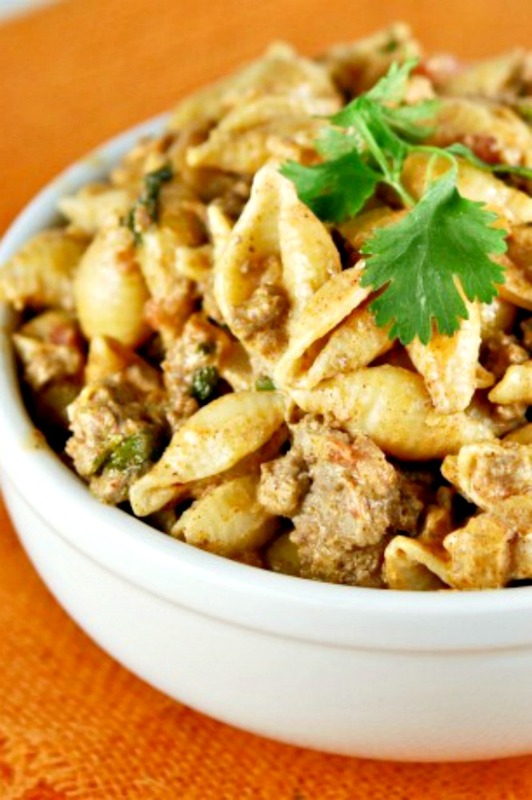 If you don’t want to go to that trouble, I’d try substituting lima or garbanzo beans. How ‘Bout More Delicious Salads! Pea Salad – Little green gems lend beautiful color and texture to this delicious creamy salad. 7 Layer Salad – Beautiful fresh salad, loaded with texture and layer of flavor! Creamy Cucumber Salad– Our creamy cucumber salad is the perfect blend of sweet, a little sour, and creamy! 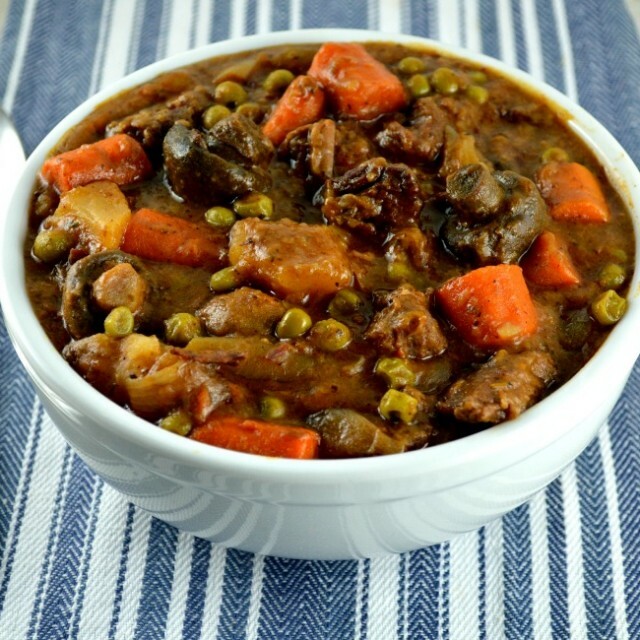 Crisp and tangy, the texture and flavors are absolutely fantastic! Easy Baked Beans – With three sweet ingredients and some savory bacon, you’ll have the whole world in your hands when you serve up a batch of my Easy Baked Beans!